What could be more delicious than something that looks too pretty to eat. 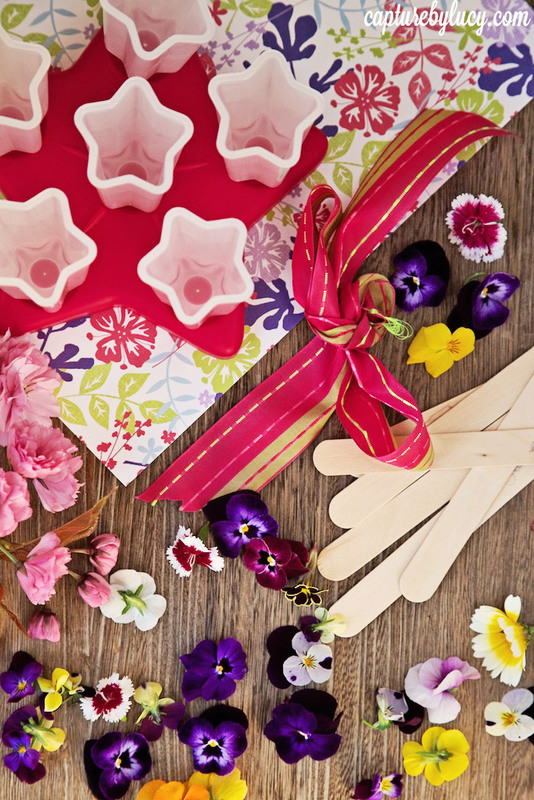 Edible flowers are just the most beautiful ingredient. With all the hot weather we have been lucky enough to experience over the last week, I have been inspired to make lots of lollies! But the petal ones have to be my favourite. 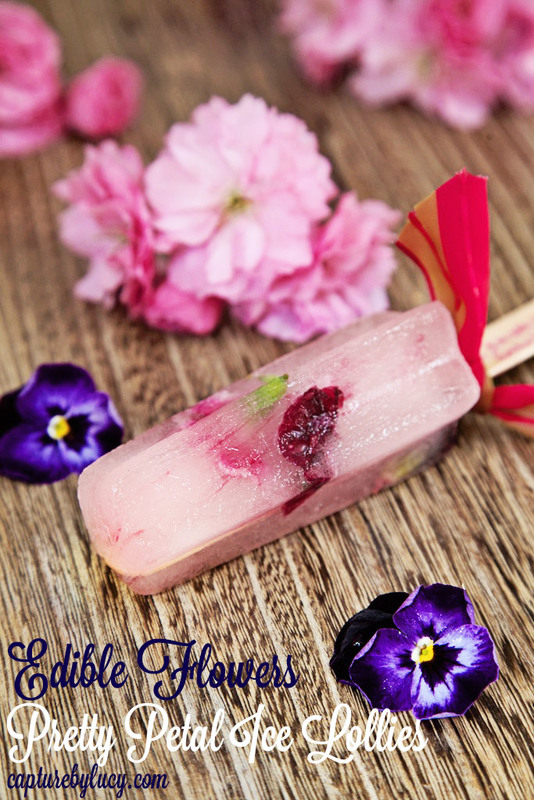 I used elderflower cordial and cherry flavoured water for the lollies themselves and then dropped the petals in at random. If you want a perfect look then freeze a third at a time to keep the flowers evenly spaced. I love the perfect imperfect look, so just popped the sticks straight in and whacked them in the freezer. 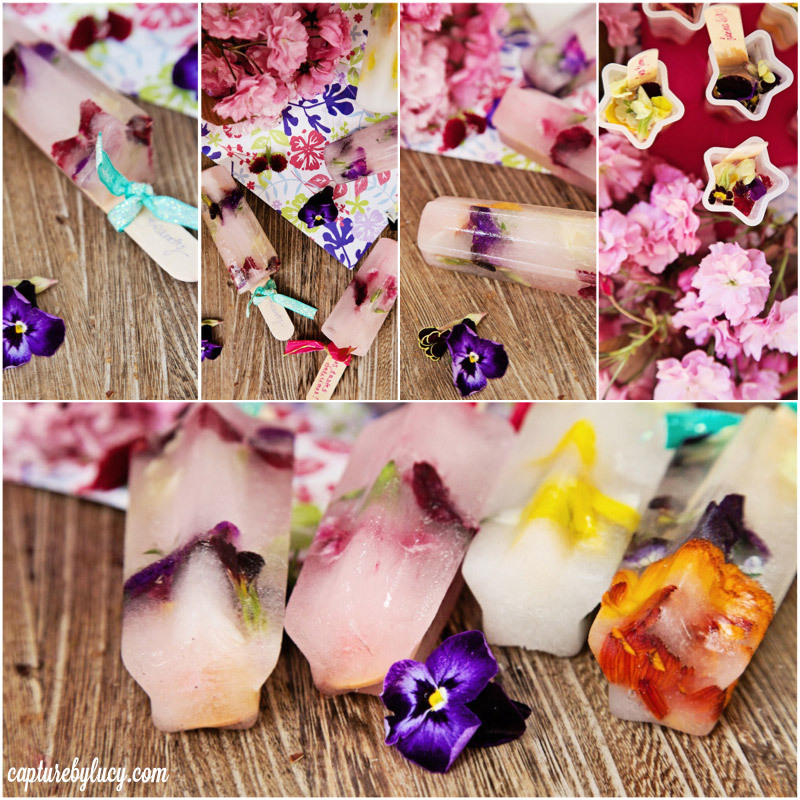 I used wide wax spatulas instead of normal lolly sticks (A timely gift from a friend who said "I was having a clear out and thought, I know someone who might be able to use them for something crafty!") as they have more room to write on. 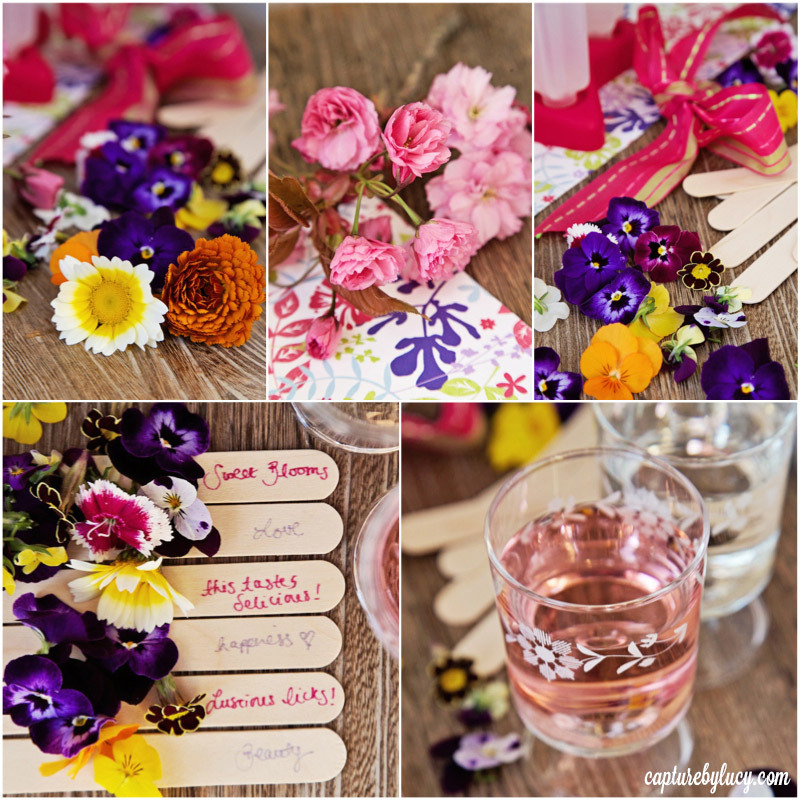 You could ink stamp words on too, or names of party guests, if you made a big batch for a special occasion. I was totally inspired by these, these and these and there are loads more to choose from on Pinterest like these edible cheese towers, if you are feeling motivated to make petal creations of all descriptions. I always remember my Mum used to make an ice bowl with flowers in it for 'dinner parties'. Take a large bowl and fill it a third full with water. Take a smaller bowl and place it in the water so the bowls sandwich the water between them. Add more water to ensure it almost reaches the top. Almost - remember it will expand in the freezer. Drop your flowers into it, they don't need to be edible if you are only using it for display purposes. Freeze for at least 4 hours. 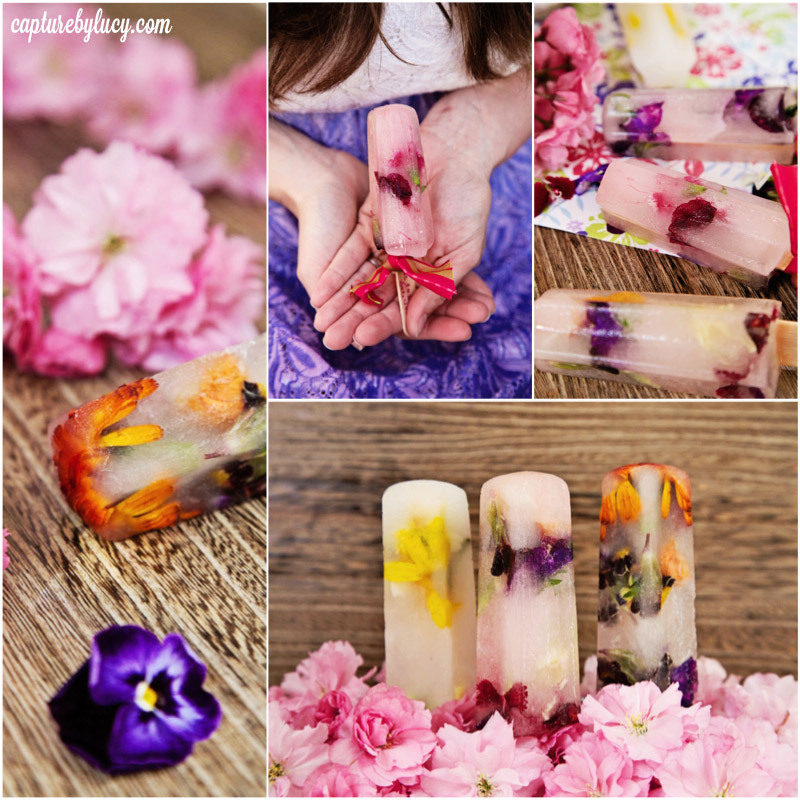 If you want a perfect look freeze a little at a time and add more flowers to ensure they are evenly spread. They went down very well on the hot summer's day we had this week. I bought my flowers from Greens of Devon . 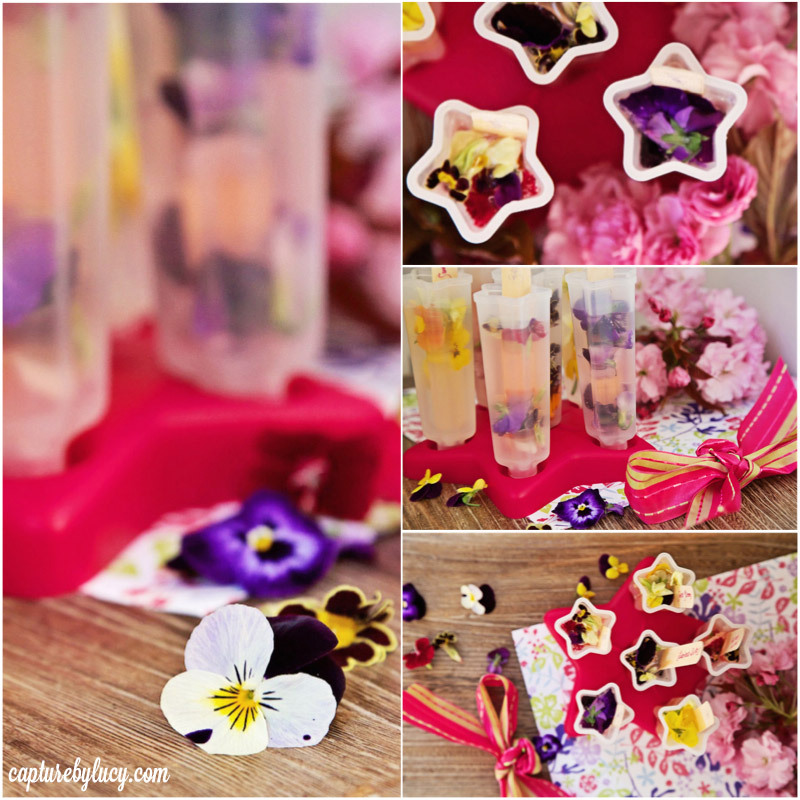 What would you make with edible flowers? You will be glad to hear this is the last time I will be linking you to the Brilliance in Blogging Awards voting page! Last 48 hours to vote, so even if you don't vote for me, vote for someone. We all put in lots of effort to our blogs and it's so lovely when those efforts are recognised! Vote HERE.